Looking for a new twist on your favorite bubbly? has garnered quite a loyal following throughout their impressive 245-year history. Champagne lovers have come to know and trust Veuve to deliver luxury in every bottle, and if you're a fan of the beloved bubbly, then we have news for you. 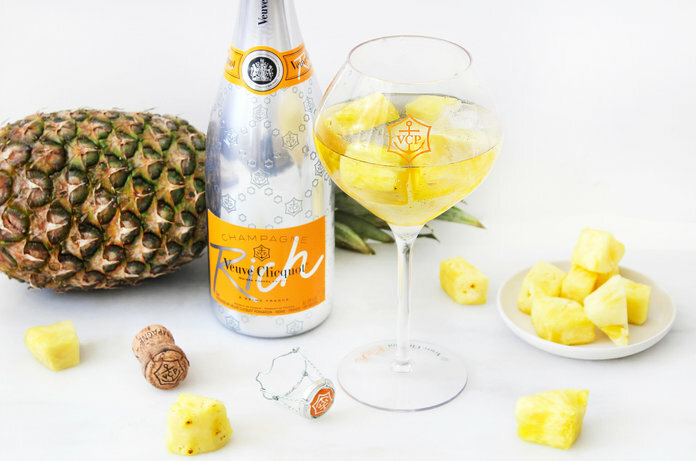 There are now two new bottles of Veuve, called Clicquot Rich and Rich Rosé, and they're a fun twist on the brand's classic Champs. The two blends are inspired by mixology and, unlike traditional Champagne, are meant to be mixed with other ingredients. They're designed to be served over ice and combined with not only fruit, but veggies, too, including pineapple, cucumber, celery, bell pepper, grapefruit and lime zests, and even certain types of tea leaves. Sounds weird, right? Wrong. We tried them and were pleasantly surprised. 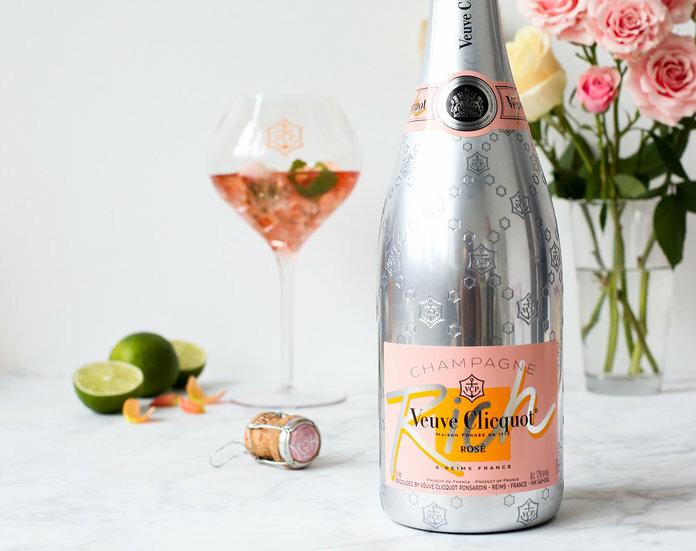 The reason why Clicquot Rich and Rich Rosé pair so well with fruits and veggies is because they have a higher sugar content than the traditional bottle, so they're a bit sweeter than what Veuve lovers are used to. When drunk alone, they will be much too sweet, but when combined with ice and any of the added ingredients mentioned above, the aromas and notes of the Champagne are enhanced for the perfect flavor. We'll cheers to that. Clicquot Rich and Rich Rosé are available in select fine wine and spirits stores in New York, California, and Florida, and can also be found online at .